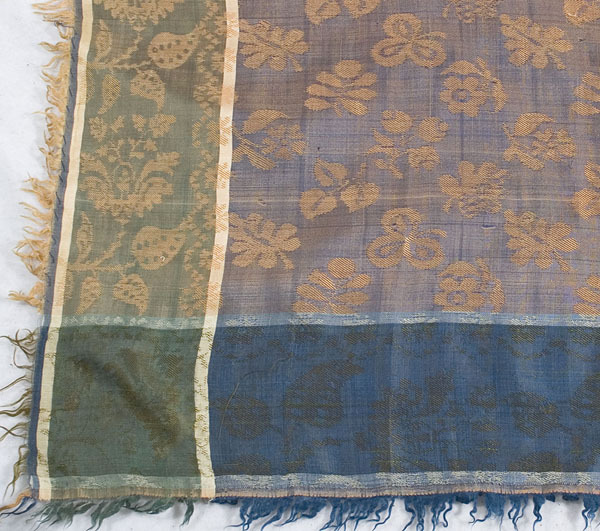 The unsurpassed beauty of fine antique textiles makes them eagerly sought collectibles. 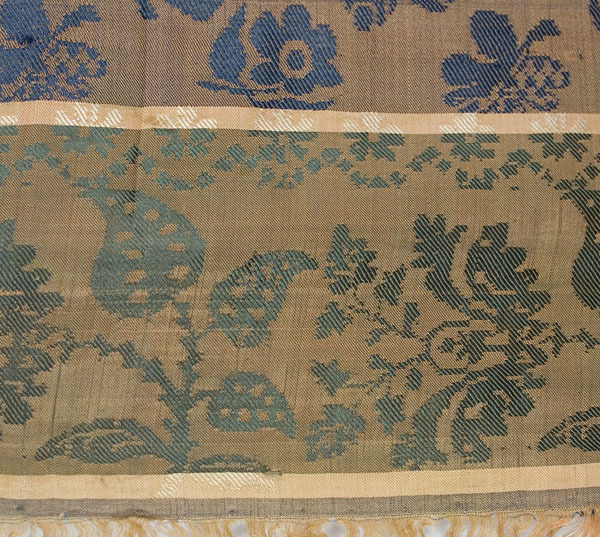 This one has a mellow glow not found in a new textile. It would add color and drama to a display of white dresses of the period. 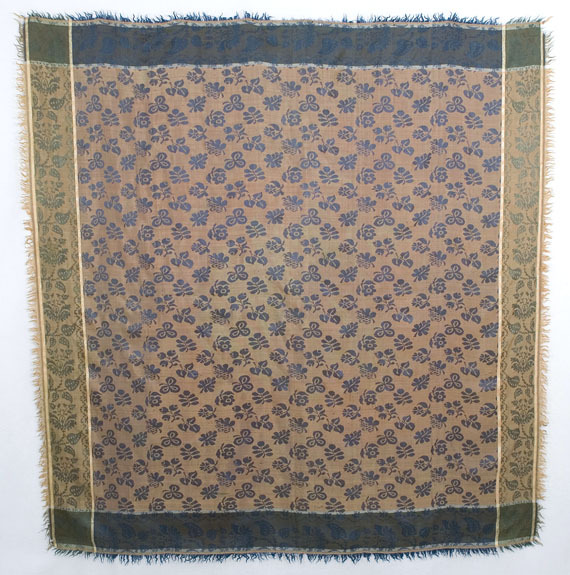 The damask weave shawl is reversible: a lilac ground with blue flowers on one side and a blue ground with lilac flowers on the other. It was originally folded on the diagonal to form a triangle when worn. The stylized floral pattern is softened by muted ground colors. You can wear it (carefully), or else use it to elaborate your home decor. 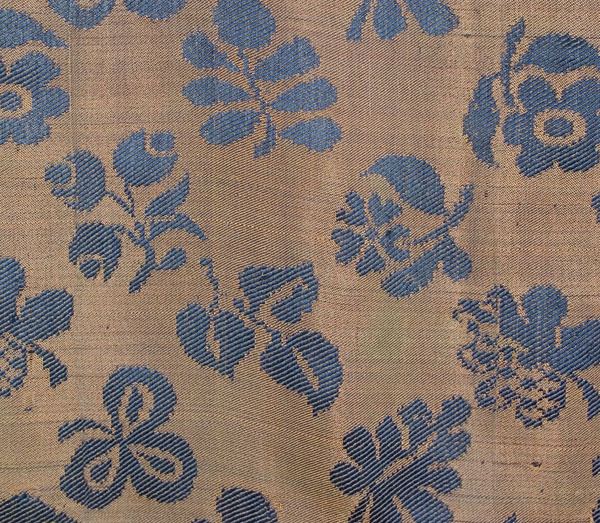 I like to drape an antique textile from my collection over the back of a plain white settee to enjoy the piece up close. 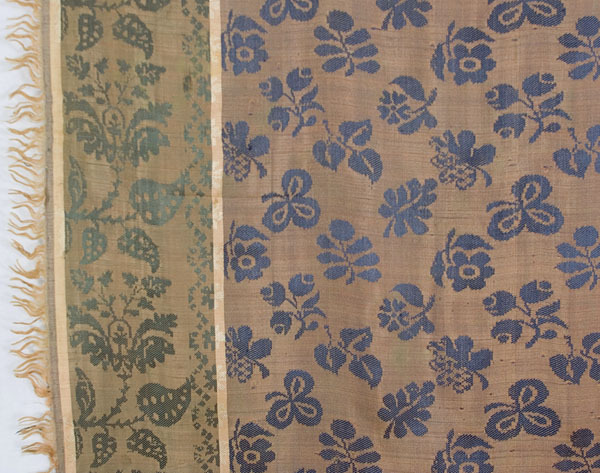 Antique textiles work equally well in period rooms and as accents in contemporary decors. The condition is almost excellent. 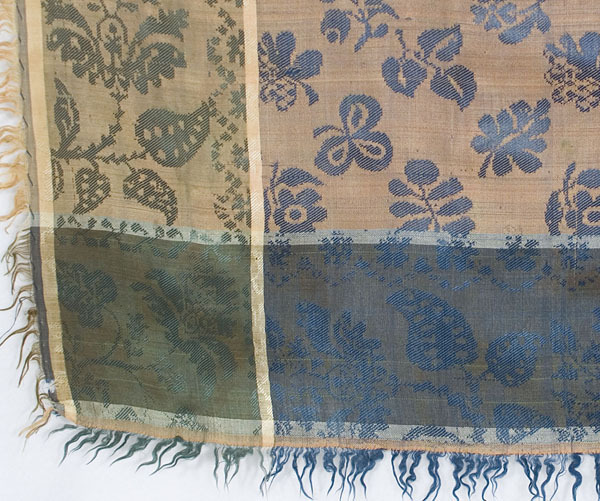 The shawl shows just gentle wear. The shawl is 55" square, including the fringe.